Bonjour lecteurs! 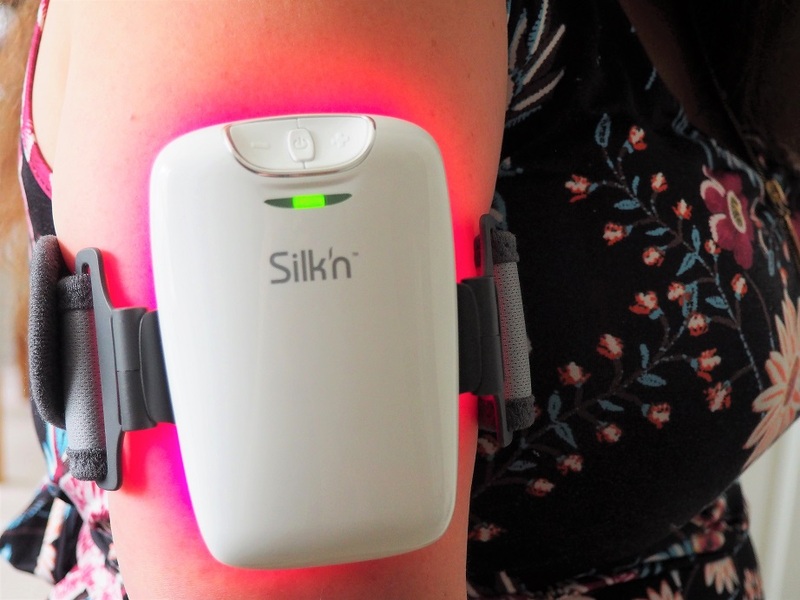 Off to share with you our update as I am taking the Silk’n Lipo To The Test! We have been using this device for nearly 4 weeks now and we are halfway our journey! 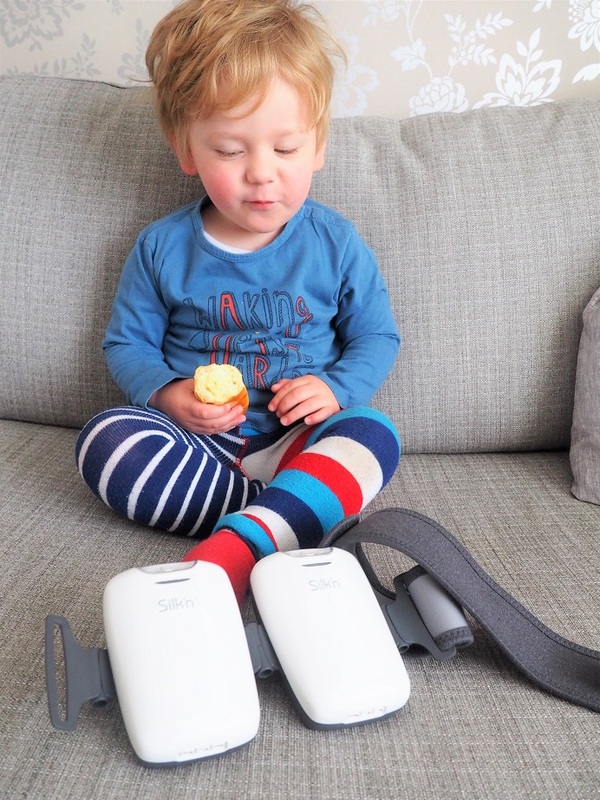 If you are a maman super busy between the baby, the house and work, then you might be interested in hearing all about our review of Silk’n Lipo! 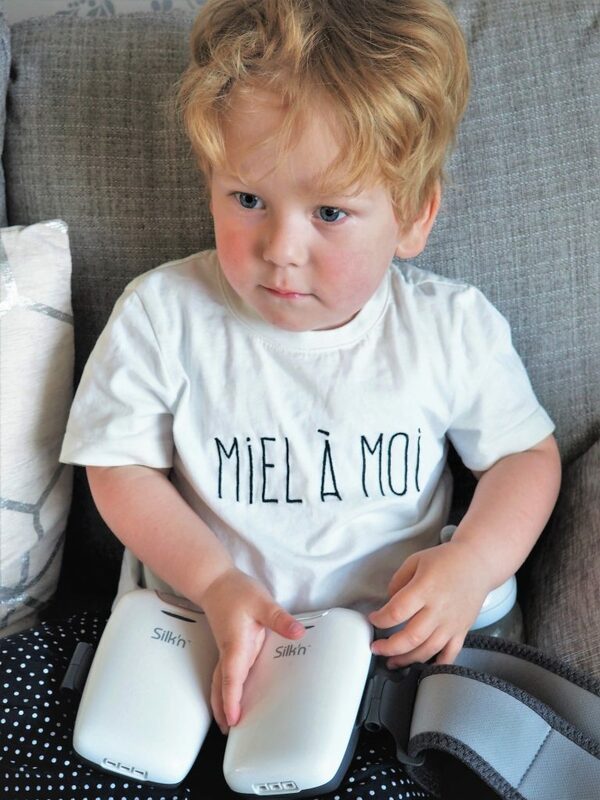 If you are following the Frenchie Mummy and reading religiously our posts every week, then bravo! I love you even more! And you might have seen that we started trying a new special device this month. Did you miss? Time to catch up! Silk’ n Lipo is a brand new and rather revolutionary device for home used to help targeted fat reduction. 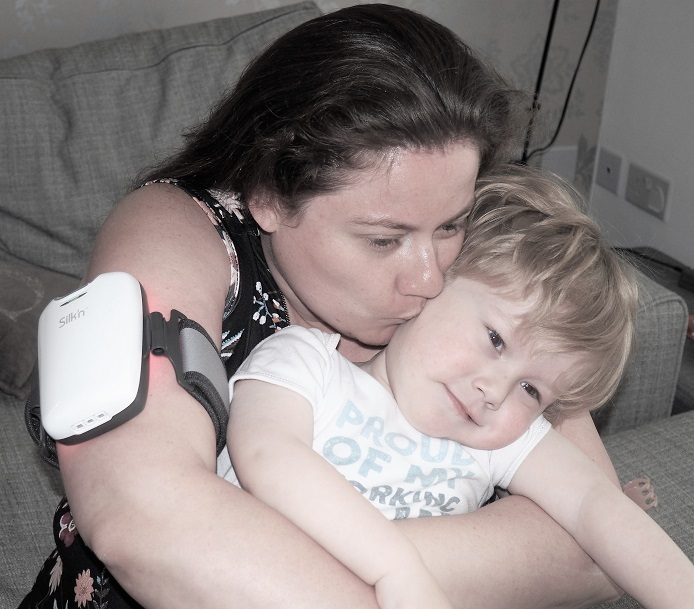 It is is the first device with LLLT (Low-Level Laser Therapy) and EMS (Electric Muscle Stimulation) technologies combined that you can use at home. Silk’n Lipo has brought these technologies à la maison so that you can make the most of it while keeping up with your daily routine. Read our Silk’n Lipo To The Test – Weeks 1 & 2 for all the details. It’s like a non-surgical liposuction or a laser lipo in your own time and totally independent! I started using it on my tummy over the first few weeks as I really wanted to work on this part of my body for the Summer. Silk’n Lipo is now part of my daily routine. Using it while working at my desk or even while cooking and doing some other boring chores (the joy of being a maman at home! ), it is easy to use while doing whatever I want. Since our last update, I have now started to use it every day. From the start, I was really happy with the results. When you have it on, you can really feel the work in progress! I am now making the most of it: arms, legs and tummy… It’s a daily dose on all of these for me. Of course, it will not replace exercising (it is very much recommended to stay active anyway), but if I don’t feel like jogging or doing a workout someday, I know that I still take care of my body with Silk’n’ Lipo. And I can still give him cuddles! The best? We have actually seen some results since our Silk’n Lipo To The Test – Weeks 1 & 2. Silk’n Lipo To The Test – It works! Without 4 weeks of utilising it, I have indeed noticed that my skin feels way smoother in the areas that I treated! Especially on my tights. It actually feels like I have been using an anti-cellulite cream. I gave up on those a long time ago, but I can really notice the difference with Silk’n Lipo. My tights feel smoother. And to prove it further, figures are the best! I also lost 1 cm of waist circumference over the last two weeks! It is very pleasant to see that it actually works. Plus it motivated me to be more active to help further my progress. Now that the weather is better again, I am going for extra long walks with Baba while we are having a healthier diet! The cheeky monster was eating while I was getting ready for one of my sessions! I am very happy with the results and I am hoping that we will keep seeing a progress in our next post! Stay tuned as we will share it all in two weeks! Thanks for reading our new series Silk’n Lipo To The Test. See you soon for more updates on my magic transformation! If you fancy taking the Silk’n Lipo To The Test, have a look here for more information. Disclosure: This is a collaborative post with Silk’n Lipo. I received this device to test it in exchange for an honest opinion. I am like you – lots more walks and eating salads while the weather is good! However, I also need a helping hand and this sounds like just the thing. A little lazy at times, I would like nothing more than sitting down working on my blog while something was getting at my unwanted flab! Sounds like it is really working for you, too! Urgh I too have that little bit extra of hard to move fat on my arms! This looks like a great way to kick start getting rid of it. That’s great that you are getting results. I could do with this in my life as weight shifting definitely gets harder as you get older! Looks like you’re getting good results with the Silk’n Lipo. I’ll have to make sure I pop back and see if the good results continue. This looks like a great way to shift stubborn fat. Will be keeping an eye out for results. It certainly seems to be doing the job with those new measurements. I could do with some help around my tummy as it’s never really gotten over having my son! Oh wow what an incredible device to have and good to know its actually working and you’re seeing results with the device. Wow impressive that this actually works! Thanks, once again, for bringing to our attention something new on the market that we probably wouldn’t have know existed if it wasn’t for your blog. Sounds really good and easy to use and the measurements speak for themselves! I wonder if this works on the upper thighs, no matter how much I tone up I cant stop them bits from jiggling! It’s great that you are losing inches and have managed to make it part of your daily routine. Well done. Never heard of this before but anything is worth a try, good luck! Sounds like it’s doing a good job, good luck. I love that is had a side effect on making your skin feel smoother, a little Brucie Bonus !